We’re so excited it’s only a little less that a week until Halloween! Your general family dentist? not so much. Trick-or-treating candy haul is a dentistry fright fest. WORST: Taffy and candies filled with caramel, coconut, or nuts are the worst kinds of candy for teeth because they stick to everything inside of your mouth, including the grooves of your teeth. The longer a food sticks to your teeth, the longer bacteria can feed on it. which could produce cavity-causing acid. SECOND WORST: Hard candy like lollipops or jawbreakers, are almost as bad. Although they do not stick to your mouth, they take a long time to dissolve. The longer a food stays in your mouth, the more acidic your mouth becomes. PRETTY BAD: Sour candy is also bad for your teeth because it has a higher acidic content, which can break down tooth enamel. While powdery candy such as Pixie Stix dissolve quickly in the mouth and don’t require chewing, they contain nothing but sugar and can lead to cavities by changing the mouth’s PH and giving bacteria straight sugar to eat. NOT SO BAD: Chocolate, with no sticky fillings, will generally not stick to your teeth and therefore is a much better option if you’re craving something sweet. BEST: Sugar-free gum may be the best treat this Halloween season because it leaves no sticky residue, and it is sweetened with xylitol, a natural sugar the bacteria is unable to form plaque on. Which kind of candy are you giving out this year? 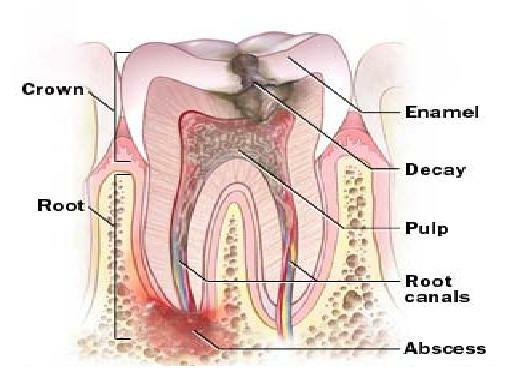 A root canal is a dental treatment procedure that is required once the nerve of the tooth becomes infected. How does does this happen? First, the tooth starts to decay. 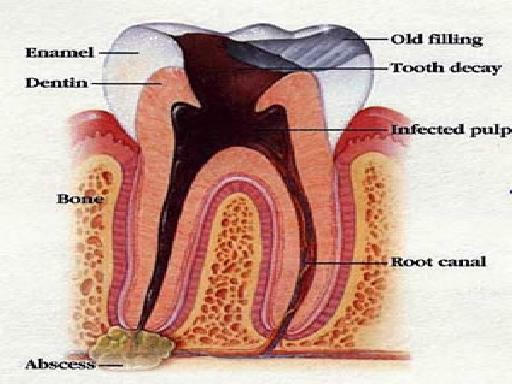 If left untreated, over time the decay expands into the nerve (called the pulp) of the tooth. The tooth’s nerve (pulp and canal tissue) becomes irritated, inflamed and infected (pulpitis). 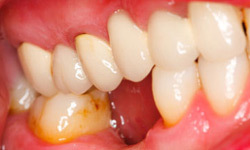 As the bacteria quickly multiply, pressure builds inside the tooth, the pulp tissue starts to die (pulpal necrosis) and the patient starts to experience severe pain in the area. The only treatment option at this time is to remove the damaged tooth nerve tissue. The dentist must clean and disinfect the tooth’s roots canals carefully to relieve the patient’s symptoms. -severe constant, dull pain, especially at night time. -pain after eating cold or hot foods. Pain that lingers on and doesn’t go away. -swelling or irritation in the surrounding gum tissue. How is the root canal done? First the dentist will numb your gums with a substance that feels like jelly, this is called topical anesthetic. After applying the substance you’ll be injected a local anesthetic that will completely numb the teeth, gums, tongue and skin in that area. 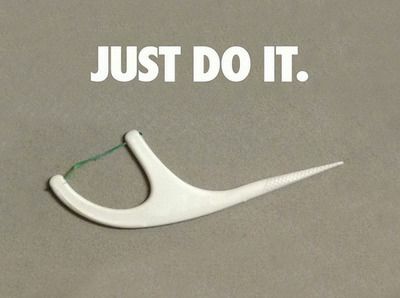 The dentist may separate the decayed tooth from the other teeth with a small sheet of rubber on a metal frame. 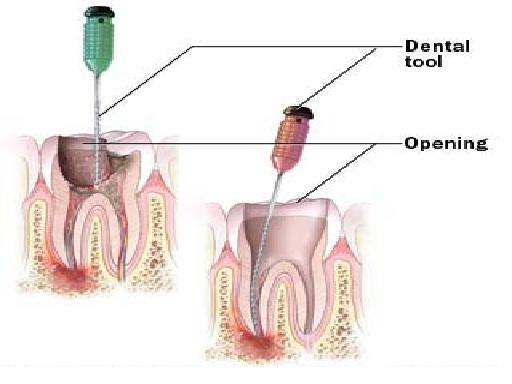 The dentist will use a drill and other tools to remove the pulp from the tooth. After the pulp and decay are removed, the dentist will fill the inside part of the tooth below the gum line with medicines, temporary filling materials and a final root canal filling. 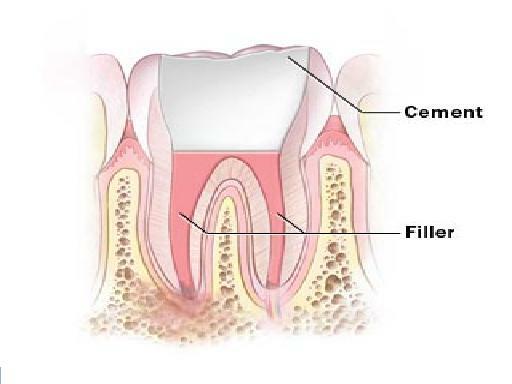 After the root canal a permanent filling or crown is needed depending on the amount of tooth structure that is left after all the decay has been removed. Root canal treatments are preventable! Keep up with your bi yearly dental check ups so that your dentist can asses when decay starts to form and be able to treat it before it progresses.